Tokollo, Kabelo and Zwai took their initials and made a band out of it. They also took the kwaito sound of the mid to late 90’s and made a Ricky Martin out of it when they made the song ‘Fiasco’. The song features the dance syncopation of the kwaito style but has a latin beat and rhythm going on. It’s as if TKZee had taken a holiday on the Copacobana and then returned to a recording studio in Soweto dragging all the influces of those 2 places with them. Into this blend they also throw some rapped vocals which recall the old skool style of early rap and just when you think they can’t pack another style into the song, you get a short burst of soulful vocals. And its not only the various types of music that are mixed together. There are also a number of languages to contend with as there is English, the odd Afrikaans phrase and some Spanish alongside what I think is a mixture of some the Black South African languages, but unfortunaly my knowledge of these languages is not good enough to tell the difference. All this fusion of sounds and words creates a highly danceable track that is full of the joys of life. It is a warm, brassy and toe-tappingly party of a song. The video features the band dancing around on what looks like a beach in the Carribean which adds to the sunshine of the track. 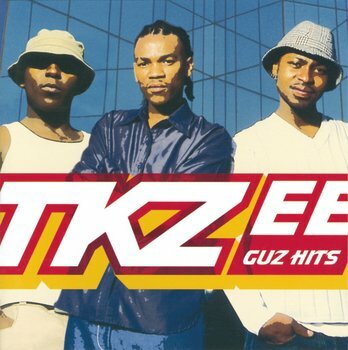 TKZee were one of the few local acts who perfomed live at the opening of the 2010 World Cup in South Africa and, although it was not this song that they played, it is easy to see why they were given the honour of playing at that huge gig as they did local with an international appeal.